You know the saying, Good Things Come to Those Who Wait? 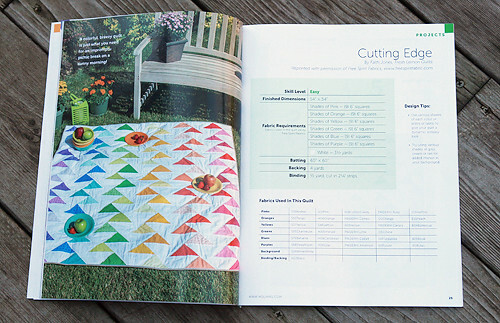 Well, the wait is over for those of you that have been looking for the pattern to my Cutting Edge quilt. 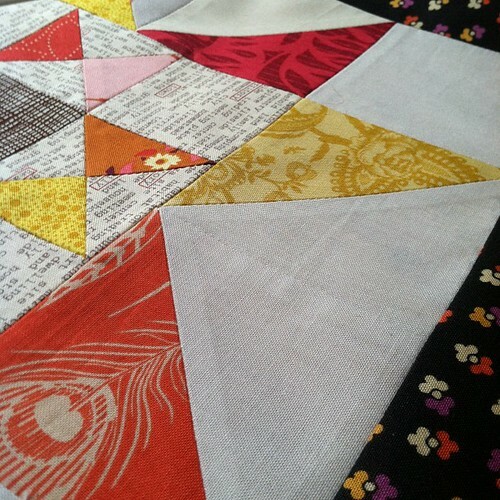 I made this quilt about 6 months ago for Free Spirit Fabrics to display at Spring Quilt Market. I also made them a pattern sheet to go with it. I was hoping that it would become available to you, in some way, but had almost given up hope. 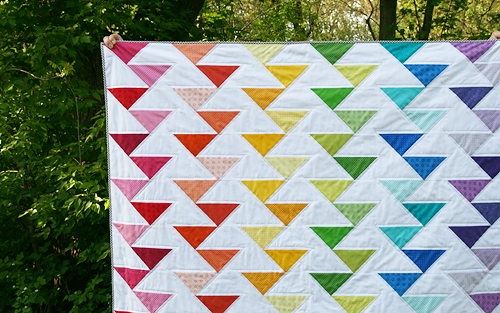 Then a few weeks ago, I received an email from Modern Quilts Unlimited letting me know that the pattern would appear in the premier issue of the magazine! To say I was thrilled would be an understatement. For one, I knew the news would make a lot of very happy readers on the blog. 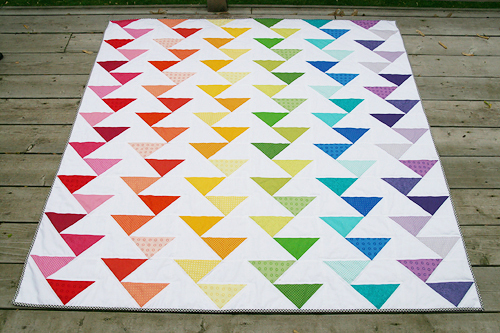 I still get comments and emails about that quilt, lots of people hoping for the pattern. It also was a huge surprise and awesome honor to be in this magazine. 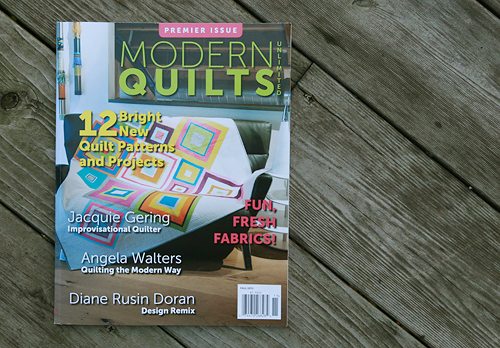 It is FULL of great quilts - including that stunning one on the cover by none other than my Sewing Summit coteacher Kati Spencer. A bit about the magazine. It is really beautiful. The pages are nice and thick, very high quality. It's a quarterly magazine, this first issue is Fall 2012. You can order a subscription online (although that would start with the next issue). But if you want a copy of this one, you should be able to find it at Barnes and Noble, JoAnns, and some local quilt shops. It sounds like from their Facebook page that they expect it to be at those shops by November 1st. And on an unrelated note...those of you that subscribe to my blog via e-mail have probably noticed something new! For many of you - it's finally working again. :) I had outgrown my old (free) service which was preventing most of you from getting e-mail notifications of new posts. I've signed up for a fancy new service so you will now be receiving pretty emails for my blog posts. If you are interested in signing up so you don't miss anything, you can either do it in the right hand column of the page (above my sponsors) or by clicking here. This is probably the best way to make sure you don't miss any posts. I know a lot of you follow me on Facebook, but because I don't pay Facebook to promote my posts, they only appear in about 20% of your feeds. So the e-mail subscription is nice! And if you just want to stop by from time to time, that's ok too. :) Be sure to visit by Thursday though, I will be posting a new block tutorial for Quilting Gallery's Glorious Autumn Block Party. Here's a sneak peek for you.